Gamer Science: Are Video Games Making Kids Smarter? As Kevin Anderton writes in Forbes Magazine, while video games provide challenge, fun, and endless entertainment, many would say that all that time spent in front of a computer screen can’t be good for us—or for our children. But a survey conducted in Australia disagrees. A study of 12,004 students across 772 schools revealed that 15-year-old students who spend significant time online playing video games scored higher in math, reading, and science than students who spend their time on social media. While more Australian teens use the Internet than those in the U.S. (97% compared to 93%), usage in both countries is higher than it is in Europe (86%). These results could indicate that playing video games appeals to students with certain problem-solving skills. 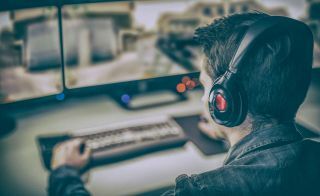 Students wishing to challenge themselves intellectually outside of the classroom probably find video games to be better entertainment than Facebook. The one thing that’s certain is that further study is required.